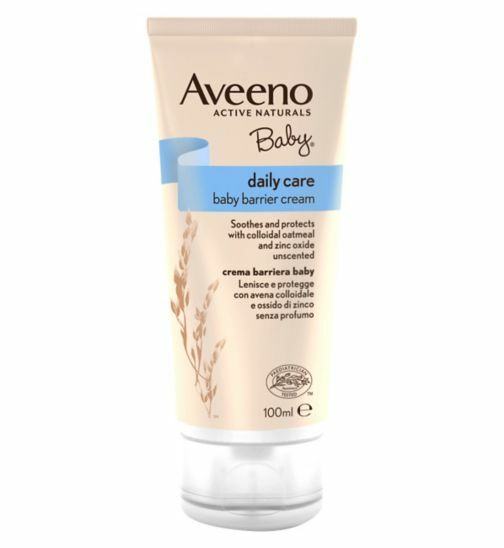 AVEENO® Baby Daily Care Barrier Cream helps to soothe and reduce redness of dry and delicate baby skin, protecting it from the causes of nappy rash. It's formula creates a breathable skin barrier on the nappy area, protecting it against external irritants. Formulated to minimize the risk of allergies.